Jean-Pierre Courjaud F6DZP wrote software to facilitate antenna setup. The Noise Power Measuring tool (NPM) can be used to measure the sun noise on S-band. A special version of Orbitron/whispDDE sends commands to the azimuth and elevation motors, providing offsets from minus 10° to plus 10° from the sun coordinates. 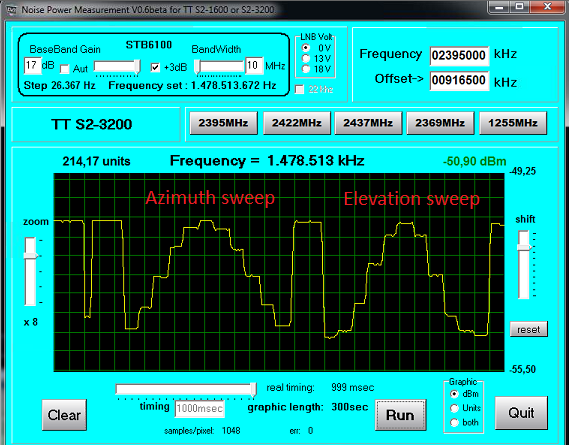 The software traces the received noise power. If the result is a beautiful pyramid, the tracking system is well set.